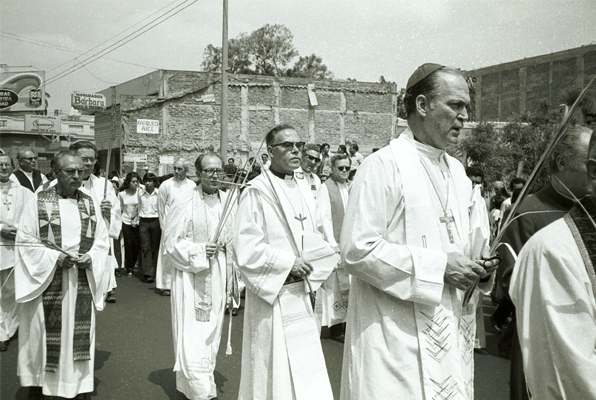 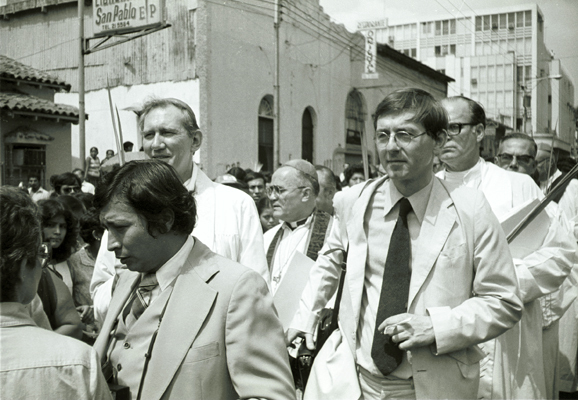 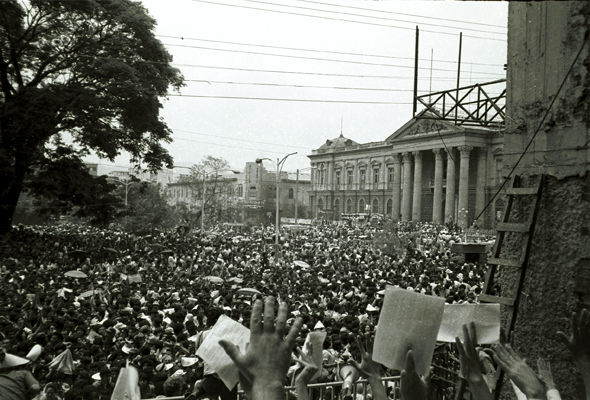 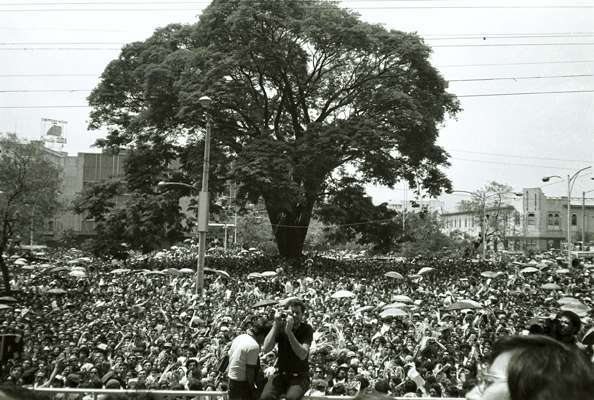 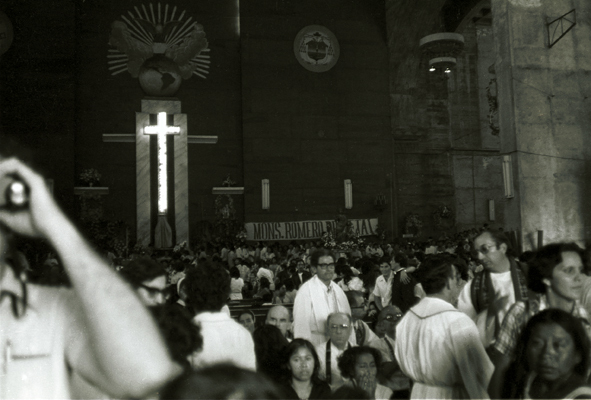 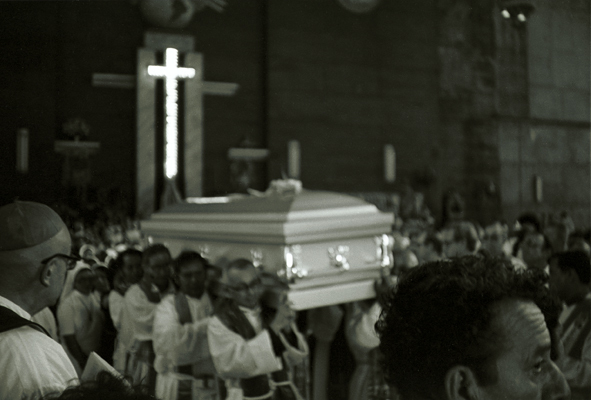 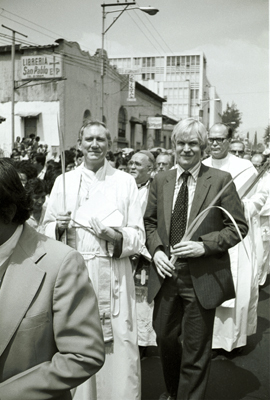 The funeral Mass for Archbishop Romero was celebrated on Palm Sunday, March 30th 1980 in front of his Cathedral in San Salvador. 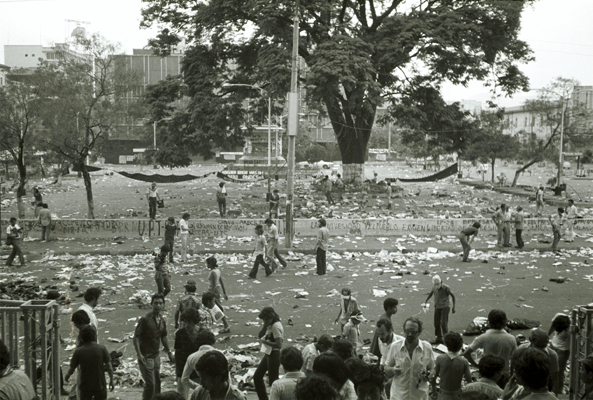 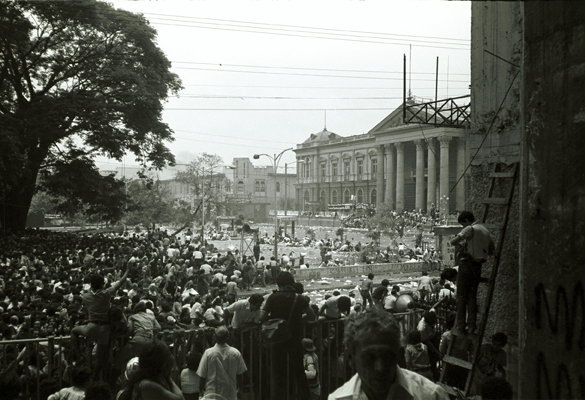 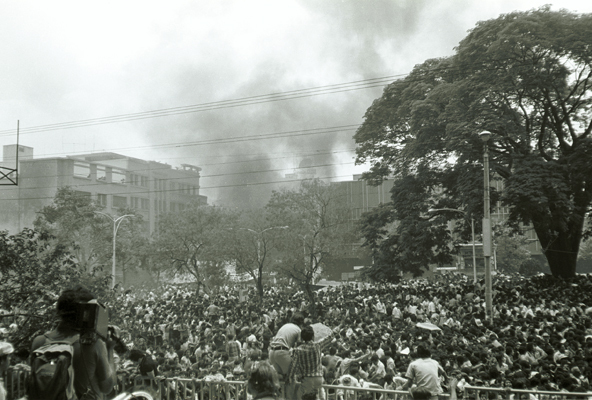 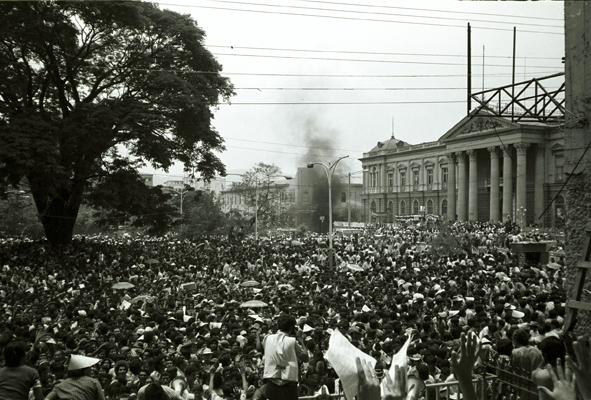 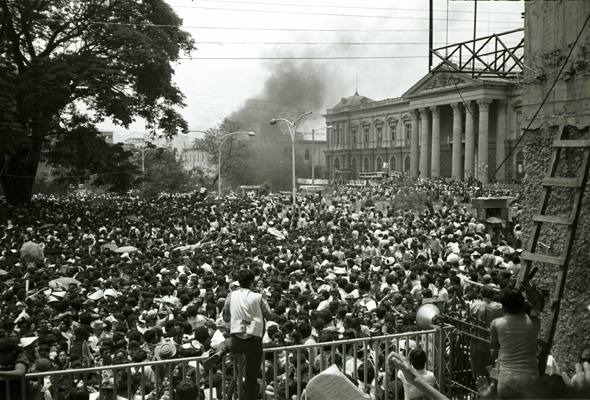 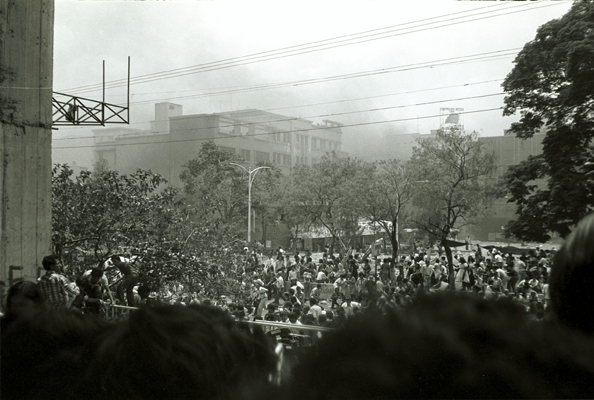 Below is film footage of the pandemonium which broke out in the middle of the Mass after smoke bombs were thrown from the National Palace into the crowd in the square where a huge congregation, well in excess of 100,000, had gathered. 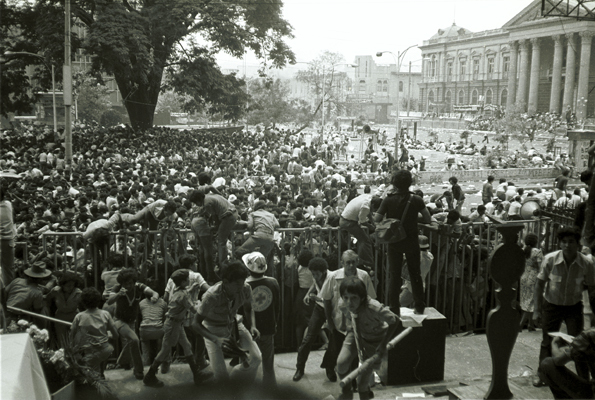 A stampede followed. 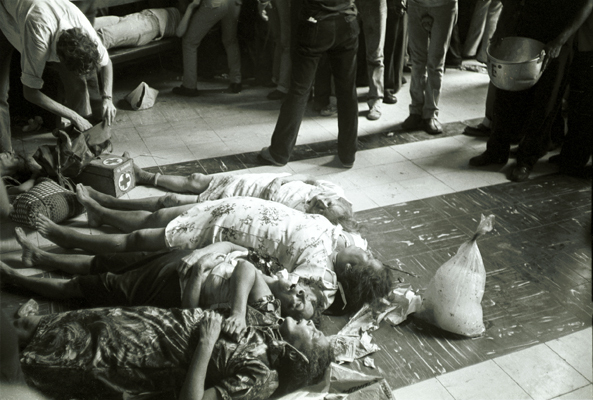 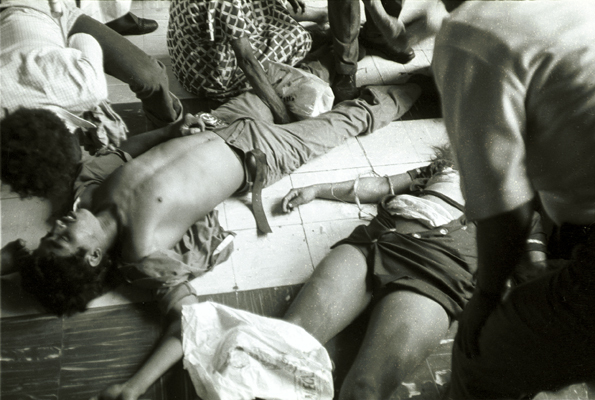 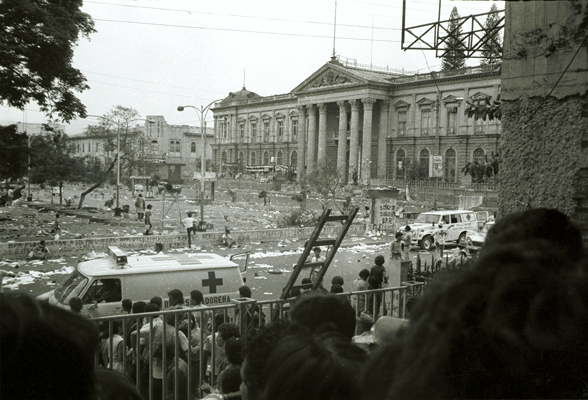 Many were killed and maimed. 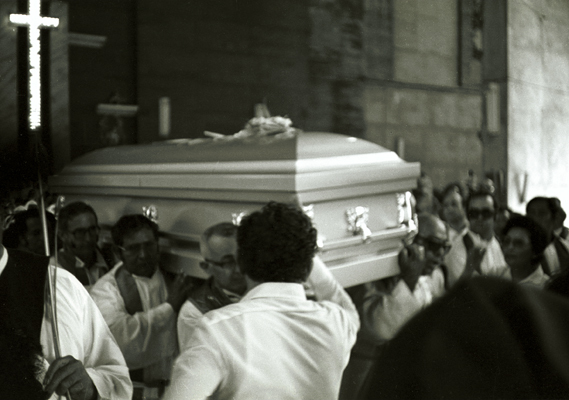 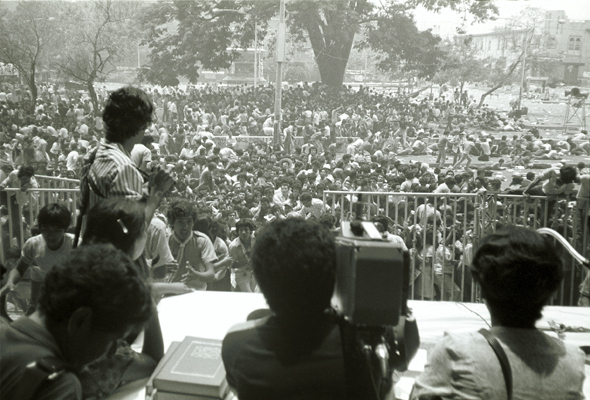 The still pictures underneath were taken during the funeral procession and the Mass. 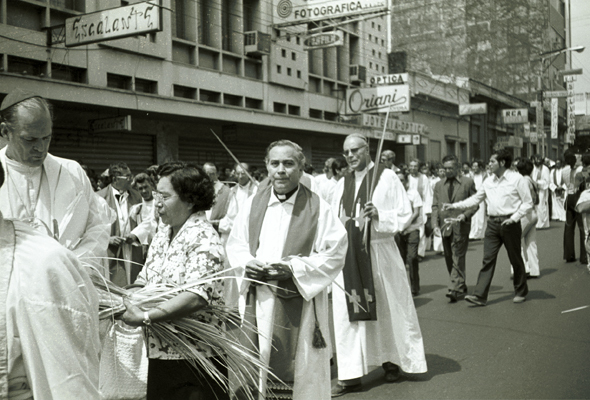 The visiting bishops from around the world drafted and issued a statement that same Palm Sunday afternoon to tell the world what had happened and what they had seen. 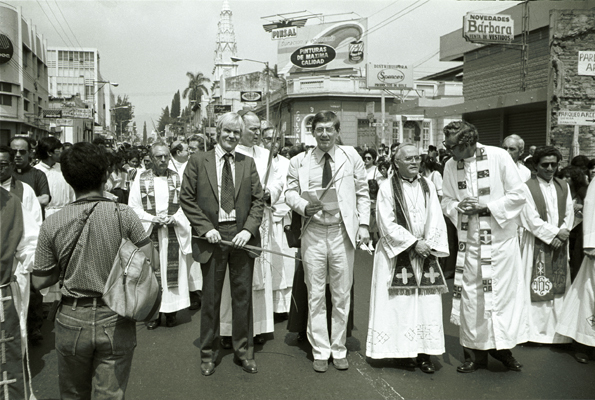 The bishops included Bishop Jim O'Brien, auxiliary bishop of Westminster, and Bishop Eamon Casey of the diocese of Galway, Kilmacduagh and Kilfenora. 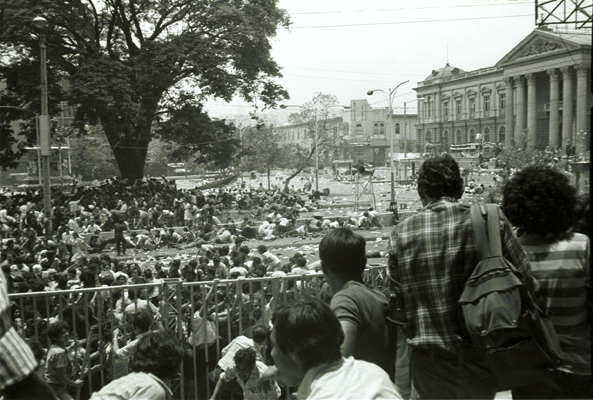 You can read the statement in the attachment below the video.